What is the nature of the Godhead of three, who are also one? The early theologian Augustine (354-430) devoted nearly a dozen volumes to discussing it, but then he always was rather wordy. This is an attempt to be a little more concise – and understandable. ‘Tri’ means three and ‘uni’ means one. Unity is often an expression for several acting or agreeing as one. Not here. This kind of unity means simply… one. Why can it be hard to grasp? In our worldview, there are three dimensions and a framework of logic that we all buy into. Heaven is not restricted to man’s understanding and logic. So, for us, someone can look like someone else, dress like someone else, speak and behave like someone else (and those good at it are highly valued as actors!) but one person cannot BE another person. By our logic, 1 + 1 + 1 = 3. But heaven is not bound by our three-dimensional worldview. Three different persons who are God can be one person who is God. The relationship is so close that they are indistinguishable, the same. A better expression might be 1 x 1 x 1 = 1. As one theologian, Thomas Torrance put it, the rationality of God has to “throw its masterful light on the whole area of human experience and knowledge”. The Trinity is not about different forms – water that can be ice or can be steam. Neither is it about different aspects, like sunlight that can also be heat or be radiation. The Bible is clear that God is Spirit; He is not limited by our human paradigms. We are talking about one God, who is God the Father and who is God the Son and who is God the Holy Spirit. When we encounter what we think is one of the Persons, we encounter all. The Father is not Jesus the Son, who is not the Holy Spirit – but all are God. The word ‘trinity’ is not actually in the Bible as such, and the Bible never quite gets to a definition of the Trinity. However, even if it is not explicit, it is implied, strongly and frequently, and it was understood from the earliest times. The Apostles’ Creed which came into use in the 1st/2nd century was a clear trinitarian statement. The early church believers were absolutely sure that Jesus was God (following Peter’s declaration, Matthew 16:16) and Jesus was the focus of their worship, perhaps even more than today. A definition of Trinity was not needed… But then a serious and damaging dispute broke out with Arius, who maintained that Jesus was not of the absolute same essence as God (rather overlooking that Scripture teaches He was with God from the beginning). The Council of Nicaea debated the matter with representatives of the entire known Church, and came to the definition and understanding that we have today (which wasn’t very different from what most in the church had understood anyway), and the council declared Arius a heretic. Churches which use formal liturgy (written out prayers and services) often have everyone declare the Nicene Creed as part of their Sunday worship today. It is an essential tenet of Biblical Christianity Some religions with Christian leanings have rejected an understanding of God as Trinity, e.g. Jehovah’s Witnesses who have ‘translated’ the Bible according to their own principles to avoid the Trinity. Unitarians and Christadelphians similarly follow a theology which is not Trinitarian. This is the legacy of Arius. The Christian church of just about every other denomination you’ve heard of – Anglican, Catholic, Methodist, Baptist, Pentecostal, Reformed, Vineyard etc – agree that the Bible speaks of God the Father, of Jesus the Son who was with the Father from the very beginning, and the Holy Spirit who is the third person. The mystery, or puzzle to human logic, is how these three persons can be the One we call God Almighty. The Trinitarian nature of God is central to how we relate to a personal God – in each of those persons. The guiding and revealing Person, the Holy Spirit, takes us beyond ourselves and empowers us spiritually. 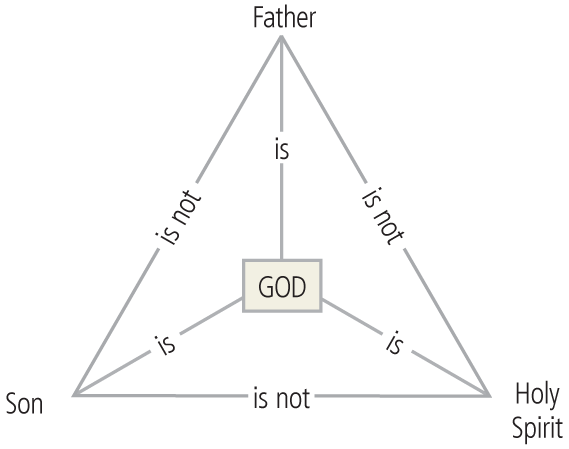 What are the best Bible verses to understand the Trinity? 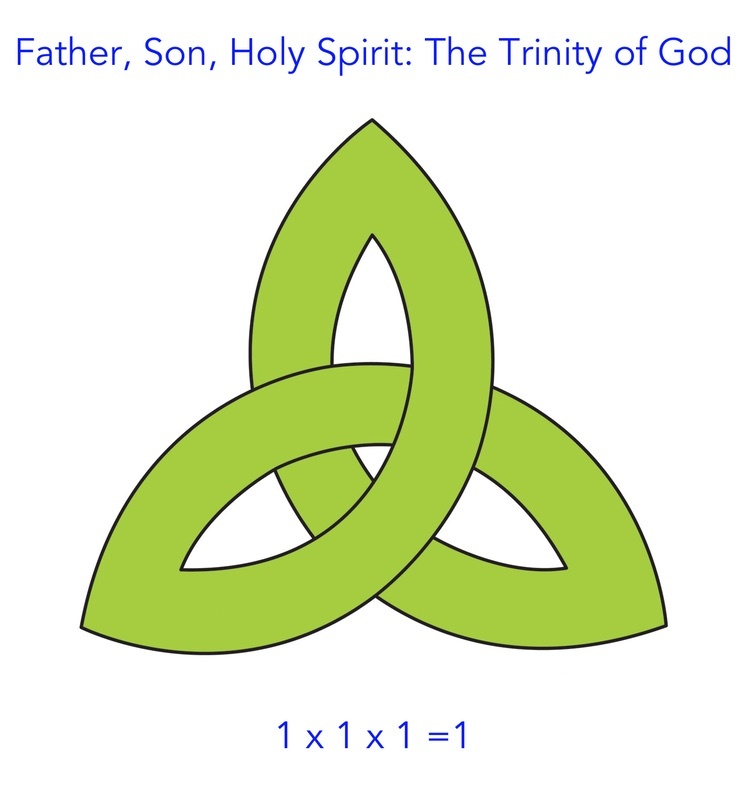 There are probably 100 or so verses which bear on the Trinity. Here are a few of them. God reveals Himself to Moses in Exodus as “I am”, meaning that he is eternally existing. Jesus reflected this in referring to Himself as “I am” in an apparent violation of good grammar: “Before Abraham was born, I am”. He reinforced this in a number of “I am” sayings e.g. The Bible is quite clear that there is only one God we worship: “Hear, O Israel! The Lord is our God, the Lord is one!” and “There is no God but one,” Deuteronomy 6:4, 1 Corinthians 8:4. However, Jesus did not pray to Himself but prayed to a different person, the person of the Father, e.g. “Father, I thank you that you have heard Me,” John 11:41. There is a plurality about God which is found in the literal language: “Let US make Man in OUR image… male and female HE created them, Genesis 1:26-27. Speaking to Nicodemus, Jesus uses this language: “Very truly I tell you, WE speak of what WE know, and we testify to what WE have seen, but still you people do not accept OUR testimony,” John 3:11. …Jesus replied, “Anyone who loves me will obey my teaching. My Father will love them, and we will come to them and make our home with them.” John 14:16-17, 23. And in some of Jesus’ final, final, post-resurrection words, He exhorts the disciples to uphold the Trinity of God in going out, reaching others not like them, and making disciples: “Then Jesus came to them and said, ‘All authority in heaven and on earth has been given to Me. Therefore go and make disciples of all nations, baptising them in the name of the Father and of the Son and of the Holy Spirit… Matthew 28:18-19. Consider the Scriptures shared here and meditate on them – and you’ll find others easily as you read the Bible. Whether you are a keen reader and scholar, or a reluctant one, simply let the Holy Spirit speak to you through them, and be your teacher. The enemy of our souls, Satan, is always active (as he was in the Early Church) to try to cause division or dissent. Let’s resolve to be both rigorous and gracious in our reading and understanding, and allow no room for his schemes.